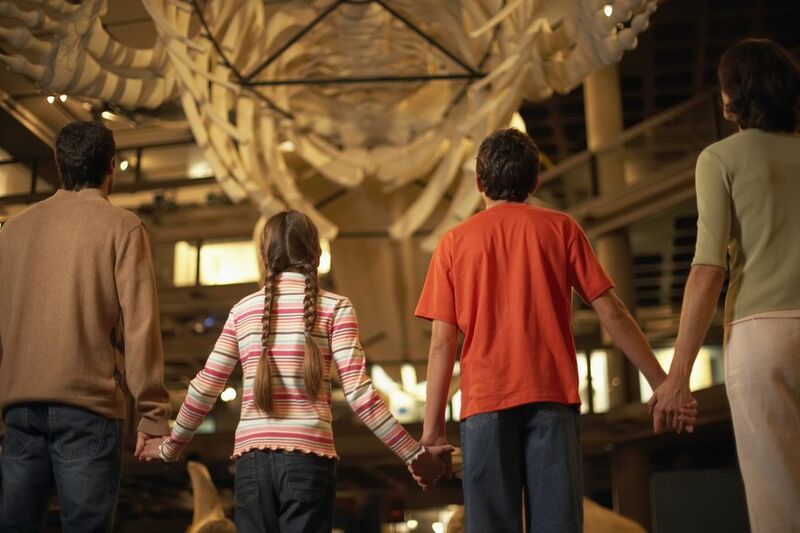 The Washington DC area has a terrific selection of museums with special programs for kids including lots of hands-on activities that are educational as well as entertaining. Museums provide a perfect opportunity for families to learn together about history, science, culture, art, music, and more. With today's technology, most of the exhibits make it easy to engage kids of all ages in a wide range of fascinating subjects. Many museums in the region are free. With so many places to choose from, this guide highlights the top museums for kids in the Washington DC area, including destinations in Maryland and Northern Virginia. The National Museum of Natural History is one of the Smithsonian's most popular and one of the best in Washington DC for kids, offering something special for all ages. The Discovery Room is a great hands-on display for young children. Feel the skin of a crocodile, examine the jaws and teeth of different animals, or try on clothes from around the globe. Be sure to check out the Insect Zoo, Dinosaur Hall, and Sea Life Hall. The National Air and Space Museum is a Smithsonian museum with two locations, the original one on the National Mall in Washington DC and the Steven F. Udvar–Hazy Center in Northern Virginia near Dulles Airport. Kids love to explore the planes and spaceships, watch an IMAX movie and visit the planetarium. Each museum offers a variety of programs with hands-on activities for all ages. The downtown location has convenient access to the other attractions on the Mall, while the Virginia museum is easily accessible and has many more airplanes and spacecraft on display. The Smithsonian American History Museum is a great place for kids of all ages to use their imaginations and learn about our nation's history. Be sure to check out the Spark! Lab, a hands-on science and invention center and America on the Move where you'll see how transportation shaped America. The National Museum of the American Indian with its imagiNATIONS Activity Center offers hands-on activities for kids highlighting the diversity, history, culture, and contributions of tribes across the Western Hemisphere. It features interactive games, storytelling programs, and craft workshops. The National Children's Museum serves as a cultural and educational center with interactive exhibits and programs. It is currently providing temporary exhibits and will open a new location near the National Mall in Washington, D.C. soon. It currently has a partnership with exhibits that are open at the DC Public Library featuring "Museum on the Move," with geared to children ages eight and younger with educational displays, puzzles, games, and activities. The Bureau of Engraving and Printing offers guided tours that engage kids and adults as they watch real money being printed. Extended hours are offered during the busier times of the year. Kids are fascinated to learn about the father of our country and enjoy exploring the 500-acre estate of George Washington and his family. Tour the 14-room beautifully restored mansion furnished with original objects dating back to the 1740's. Tour the outbuildings, including the kitchen, slave quarters, smokehouse, coach house, and stables. The KID museum offers hands-on activities for elementary and middle school-aged children integrating art, science, and technology with cultural experiences. Visitors experiment with a wide range of tools and materials such as 3D printers, laser cutters, textiles, electronic circuits, video cameras, and more. Visit the museum at the Washington Navy Yard and learn about more than 200 years of naval history through interactive exhibits and displays including naval artifacts, models, documents, and fine art. Exhibits include model ships, undersea vehicles, sub periscopes, a space capsule, a decommissioned destroyer, and much more. Visit the world's oldest continuously operating airport with a museum of interactive exhibits and programs for kids including aviation crafts, kite and model making, movie and a lecture series. The College Park Airport Museum features ten aircraft in its main gallery. The facility offers a unique venue for hosting a party or special event. 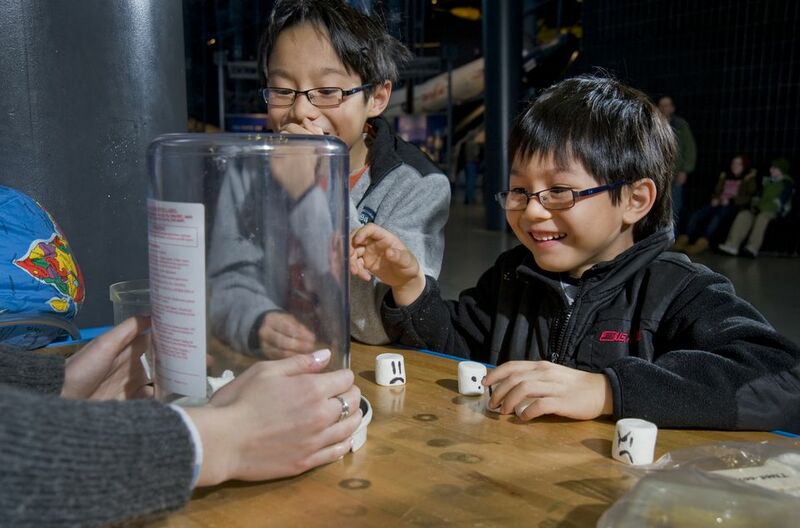 The Children’s Science Center Lab is an interactive museum, located in Fair Oaks Mall, where children, families and school groups can explore science, technology, engineering, and mathematics (STEM) concepts through fun, engaging hands-on exhibits, activities, and programs. In addition to four experience zones with changing exhibits and activities, the Lab includes a flex-space “Garage” for camps, classes, workshops, parties, and mini expositions. Rose Hill Manor Park and Museum serves as a children's museum and demonstrates life during the time period of 1746-1950. The property features a manor house, icehouse, log cabin, blacksmith shop, carriage collection, and two barns. Tours are great for kids of the historic manor that was the retirement home of Maryland's first elected Governor, Thomas Johnson. The property is a popular place for school group tours.